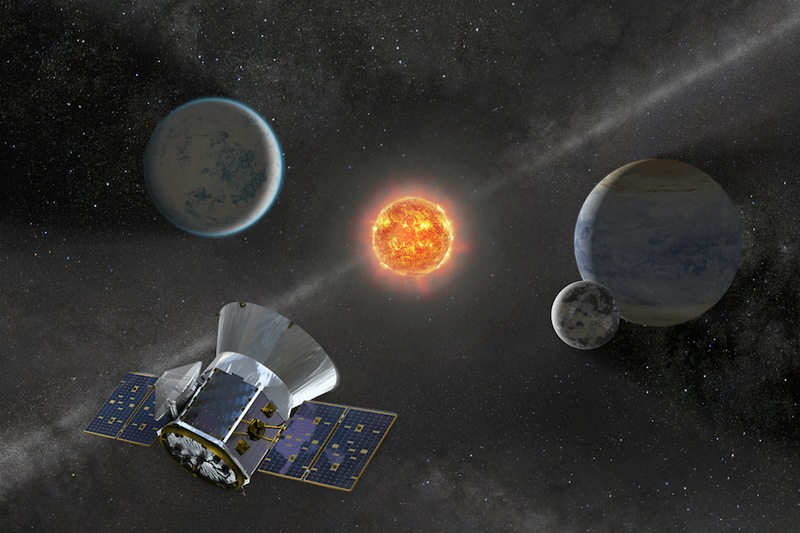 Artist’s impression of the TESS spacecraft. Image: NASA. 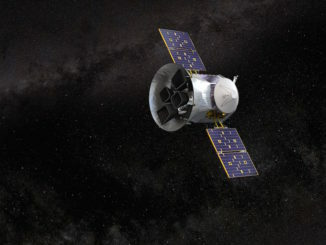 The Transiting Exoplanets Survey Satellite, or TESS, was launched 18 April 2018. It detects exoplanets by measuring the slight dimming of a star’s light when a planet moves across the disc as viewed from Earth. 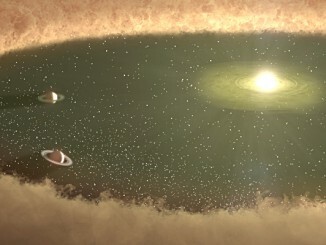 The PFS was used to compute the mass of the sub-Neptune world by precisely measuring the very slight wobble in the host star’s position caused by the tug of the planet’s gravity. The larger of the two planets, catalogued as HD 21749b, takes about 36 days to complete one orbit. Its density indicates the planet has a substantial atmosphere but is not a rocky world. 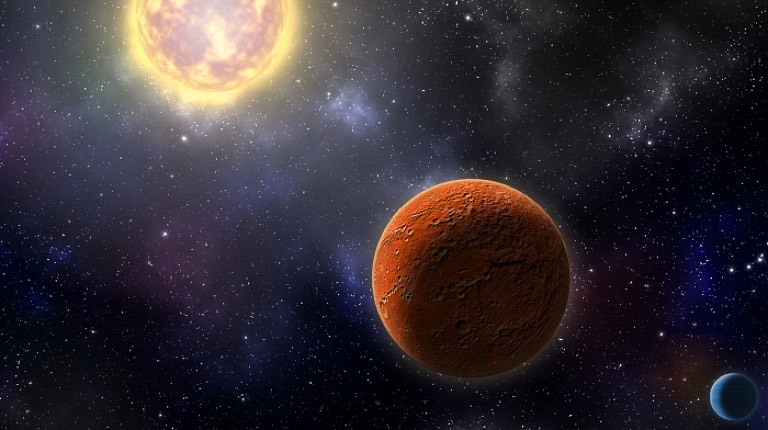 The roughly Earth-size planet, known as HD 21749c, has a period of about eight days. 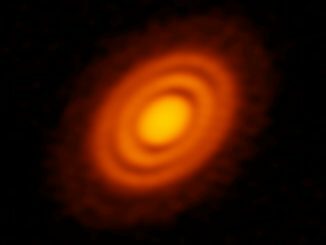 New observations with the Atacama Large Millimeter/submillimeter Array (ALMA) contain compelling evidence that two newborn planets, each about the size of Saturn, are in orbit around a young star known as HD 163296.